Lincoln & Lucy Photography is a fine art photography studio specializing in newborn, baby and family photography in Everett, WA. L&L Photography also happily serves the greater Seattle area, Woodinville, Shoreline, Edmonds, Lynnwood, Snohomish, Marysville, Arlington, Monroe and surrounding areas. At home and studio newborn sessions are offered as well as on-location family sessions. Are you interested in your own maternity, newborn or family photography session? I'd love to chat with you about how we can customize the perfect session for you! As soon as I saw this baby come in to my studio, I knew that I wanted to photograph her with cream colored accessories. She’s already got that stunning dark curly hair and I knew it would look beautiful on the cream flokati. She was such a sweet baby too - she just curled right up in such a natural way (which is my favorite way to photograph newborns)! Babies change SO much during that first year! That is why I think it is so important to capture all of those important milestones and stages. Your little one will look completely different at 6 months old than he will in just a few months. And believe me, as a mother….you will think you will always remember it all. But unfortunately you won’t. Time has a crazy way of erasing and blurring even the most important details. This little one only had eyes for his Momma - and it was the sweetest. His little face would light up when she smiled at him. I felt honored to create these portraits and this memory for them. What do you get when you combine beautiful Fall colors, a greenhouse location, a close knit family, a super cute toddler and a newly engaged couple? Gorgeous extended family portraits! Those first few weeks of life are some of the most important moments to capture. Your baby will never be this small again and they grow and change so quickly. As a mother, I want to document this precious stage for you - I want to give you something to look back on. As a photographer, I want to create beautiful portraits that you will treasure forever! Over the last 6 years of photographing newborns, I have learned that most mother's want pictures of their baby but not everyone wants or needs a full newborn session. The newborn mini session is the perfect solution. It's great for those who want a short and sweet portrait session and a few of their favorite digital images. Mini session clients receive the same excellent customer service experience and access to the same portrait art options as other clients. The only difference is baby is all wrapped up, the session is shorter (about an hour), and you qualify for special mini session pricing for upgrades! What is a Newborn Mini Session? 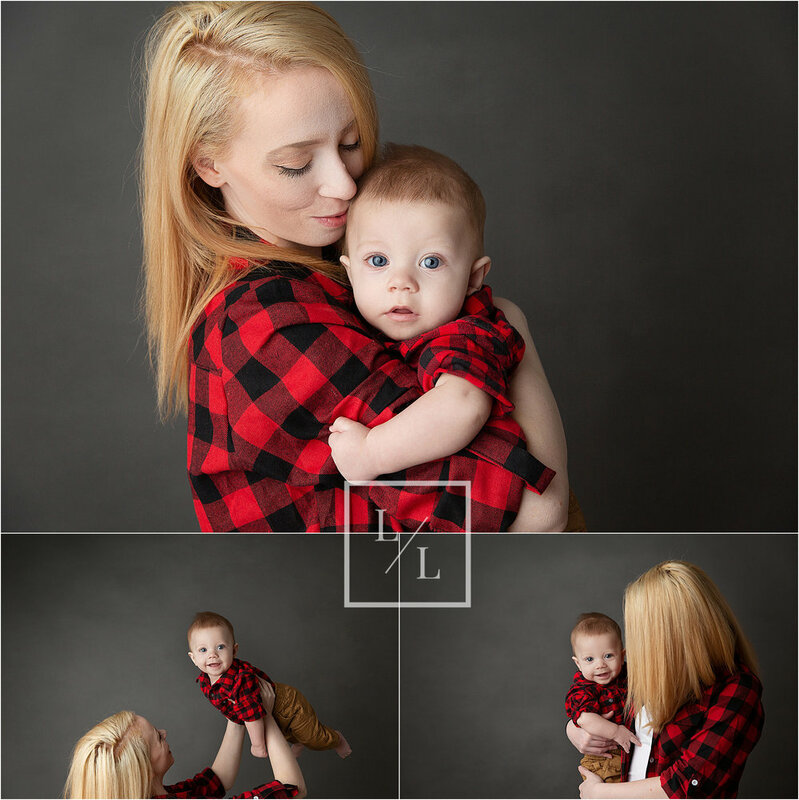 The Newborn Mini Session is a shortened version of a traditional full newborn session. The session lasts approximately 45-60 minutes and baby is fully wrapped/swaddled during the majority of the session to help calm and soothe them. They are photographed either awake or asleep and different wrap colors, bonnets, headbands, props and backdrops are used to create a diverse gallery of images. The goal of the session is to create a beautiful gallery of approximately 15-20 final images for you to choose from.